day 278 and day 8 with steve. to be honest things were a bit rushed today and felt a bit stressed about what to do for kirstys blog. dinner was already sorted thanks to left-overs from day 276 great grandmas stew beef, so i thought "how about a pudding?". 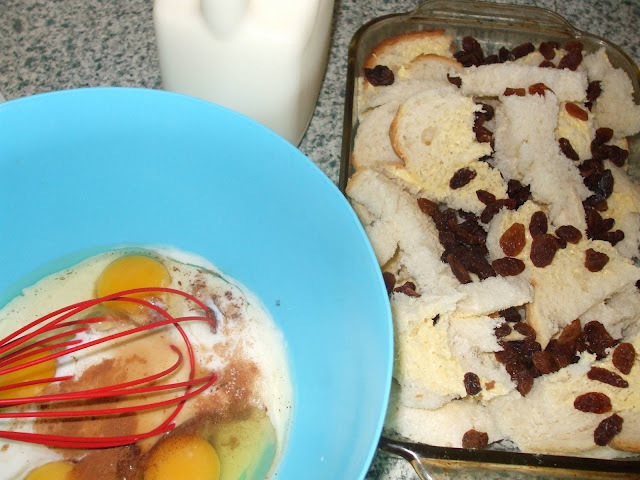 a quick search on pinterest turned up this recipe for Bread Pudding from allrecipes.com. 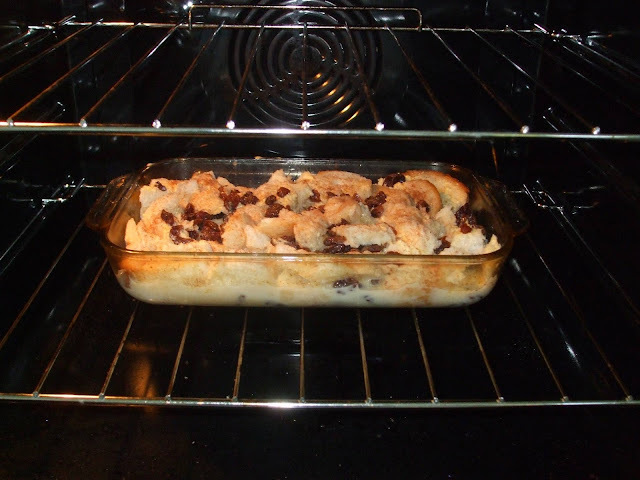 outcome: my mum used to make bread pudding and i loved it. i knew the kids would love this because it was pudding. 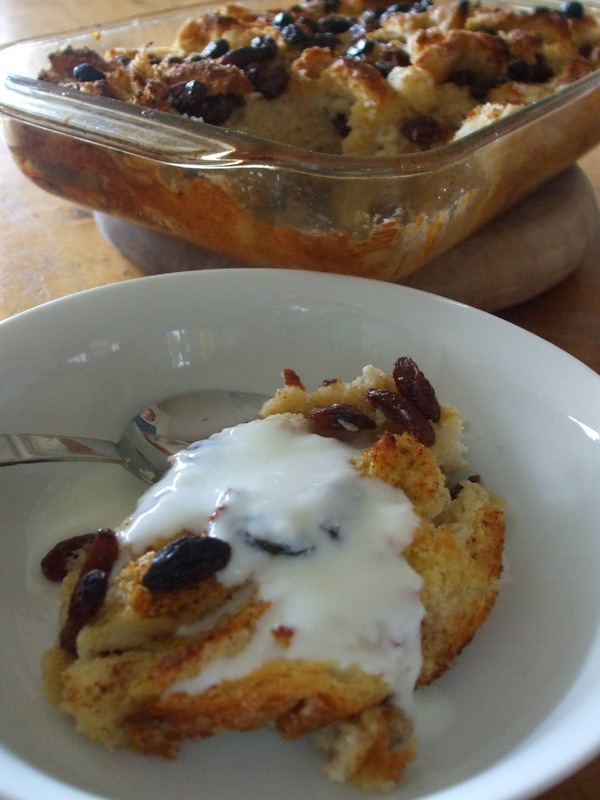 i went out on a limb with this because years ago kirsty tried bread pudding and she didn't like it. 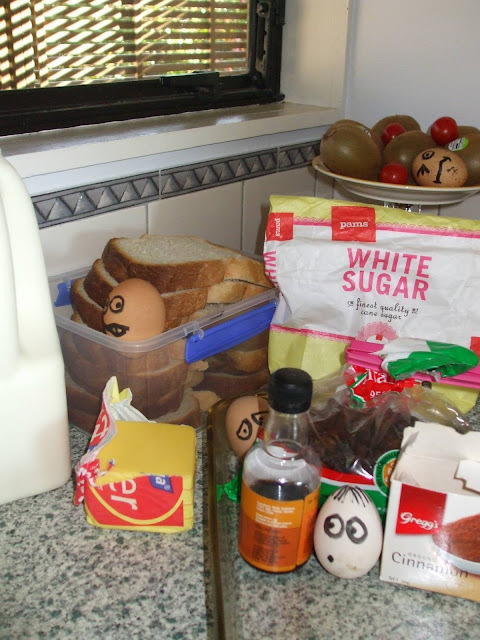 kirsty really liked this version though (it didn't taste eggy) and i still cant believe how simple it was to prepare. 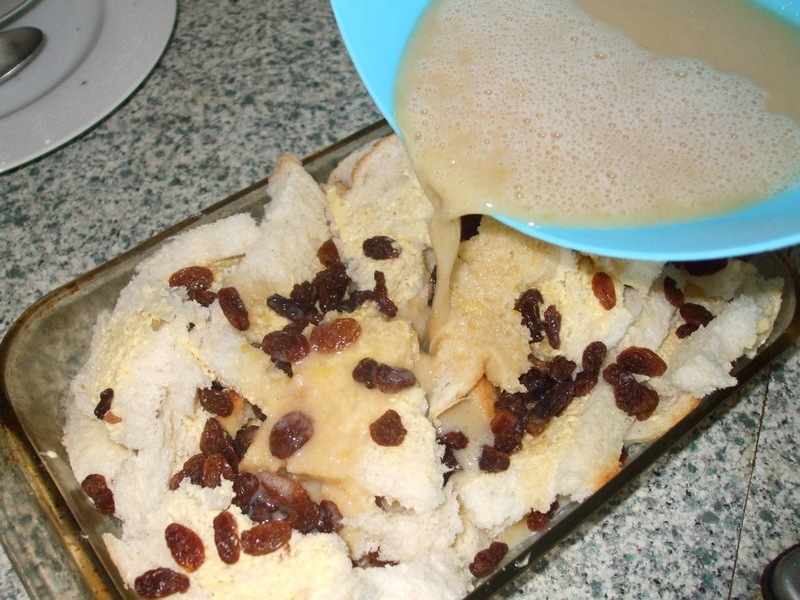 bread pudding is old-school and so was the perfect thing to have after great grandmas stew beef. and on that note, the stew beef was even better with mashed potatoes! I'd have to skip the raisins but otherwise it looks yum yum yummy!